When I am in planning mode, I’m sometimes so focused on where I’m going, I’m not thinking about where I already am. I realized this after I had both of my kids. I needed to be more present with what was happening now. It’s something I still have to work toward each day. I have to physically stop what I’m doing and purposefully think about what I should be doing right now. And then I have to focus on being present in the moment. Remember, there are many times where your undivided focus is essential – it’s with the things that really matter – and those are often not things. Be present with the people who matter to you. It may take focus, but it’s worth it. I’m pretty productive at work, so much so that I’m mentally exhausted by the time I make it home. I’ve realized I’ll sacrifice my personal energy to maintain my professional energy. So I work when I’m best – when I first wake up in the morning. 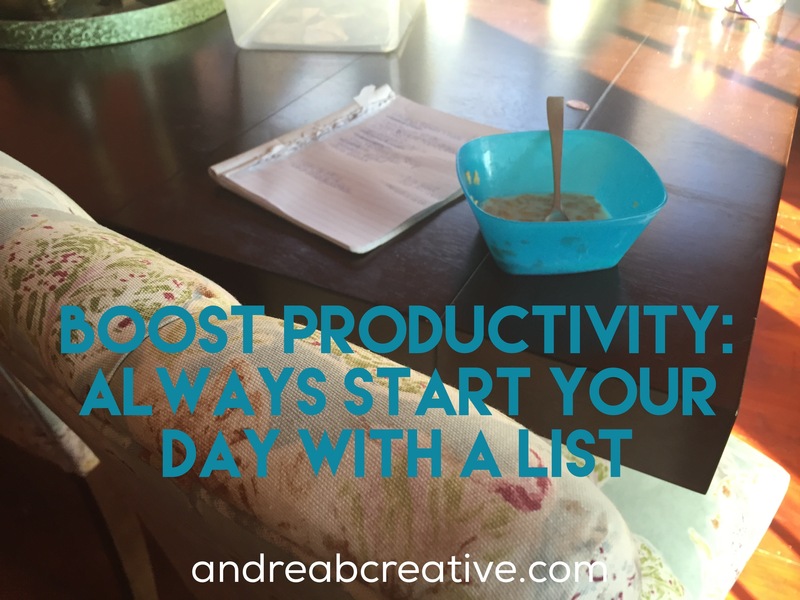 My goal each day is to get one productive thing done at home before I go into work. And on most days, I can accomplish this task, which makes me feel more productive as I go into work. Try to work at the time that works best for you – early in the morning, during your lunch hour or late at night – if it works for you, it works. And remember to write it down, so you remember what needs to be done!